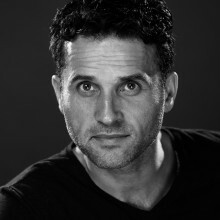 Chris McQuarry is a London based Irish actor. He was born and brought up in Derry, Northern Ireland where he appeared in various television series including Jimmy McGovern's Emmy Award winning 'Sunday', BAFTA winning 'Tinseltown' and Irish TV Drama 'The Big Bow Wow' in which he played the only cockney! He also has the curious accolade of being the only Irishman to have captained England in the World Cup finals when he played Mancunian character Alan Massey in the cult football film 'Mike Bassett: England Manager'. He has worked extensively all over Europe as a key member of the PAL and Pygmalion development labs improvising and voicing characters for various animation companies – he also yearly appears as Father Christmas for several special needs schools in south London! Chris is also a successful screenwriter – under the name Chris Boyle.